The World Cup 2009 participant and one of the top tallents of Vietnam – GM Le Quang Liem – is leading convincingly the 2nd Dragon Capital chess tournament. After six rounds he has full 2 points advantage ahead of competition, scoring a perfect 6,0/6. IM	Ashwin Jayaram, GM	Dao Thien Hai, IM	Mas Hafizulhelmi, GM	Tu Hoang Thong, IM	Tu Hoang Thai, GM	Nguyen Anh Dung, IM	Nguyen Van Huy, and WIM	Pham Le Thao Nguyen share the second position with 4,0/6. They certainly have little chances for first, but the IM/GM norms are still a posibillity. IM	Sharma Dinesh and IM	Nguyen Huynh Minh Huy are also in the scope of achieving GM norms, currently at 3,5/6. 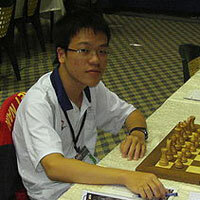 Le Quang Liem is born in 1991 and is one of the top U18 players in the world. 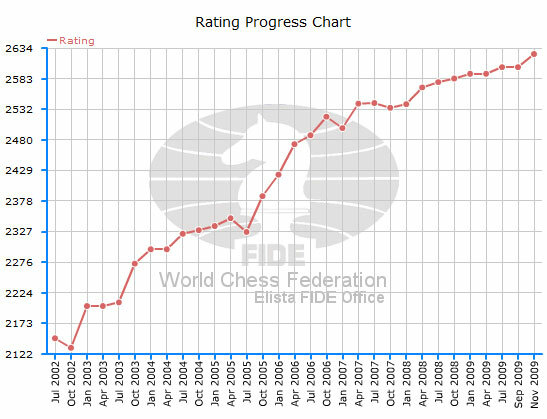 With the 12 ELO points from Dragon Capital Vietnam, together with the points won at the Zhejiang Lishui Xingqiu Open tournament, Le Quang Liem is set to enter the FIDE top 100 players at the January rating list. Le Quang Liem is the number 1 player of Vietnam and has participated in the 2006 and 2008 Chess Olympiads. He is also expected to lead the Vietnam team at the 2010 Khanty Mansiysk Chess Olympiad.